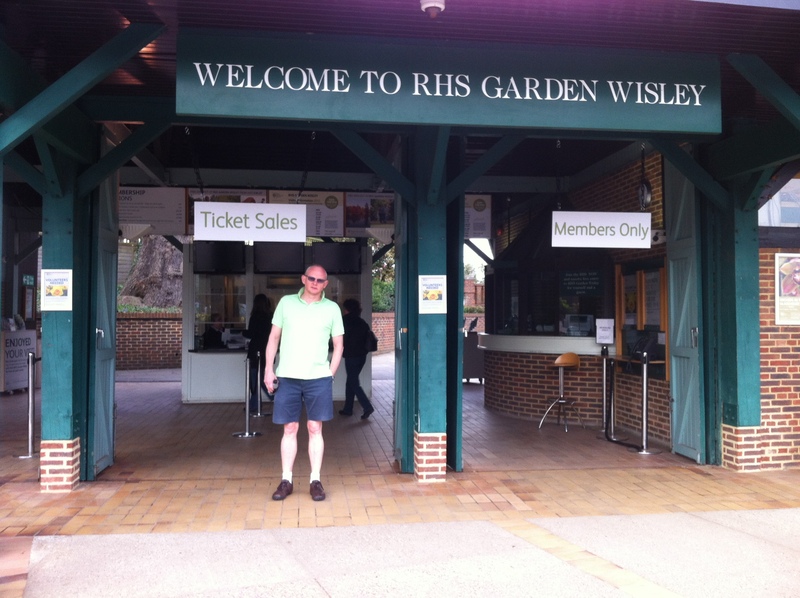 On Sunday we decided to visit the RHS Grow Your Own Weekend event. Aiming to make the best of the weather, miss the crowds AND get some time on the plot we planned to get to Wisley for the 9.00am opening time. What we didn’t factor in was the clocks ‘springing forward’ by an hour or an extremely enjoyable dinner with our fellow allotmenteers, this ended with the appearance of a bottle of Remy Martin which led to a very late and bleary bedtime. A mere six hours and one sore head later we set off. Here’s Derek stood outside as it opened. It may have looked sunny, hence the shorts, but was actually freezing. 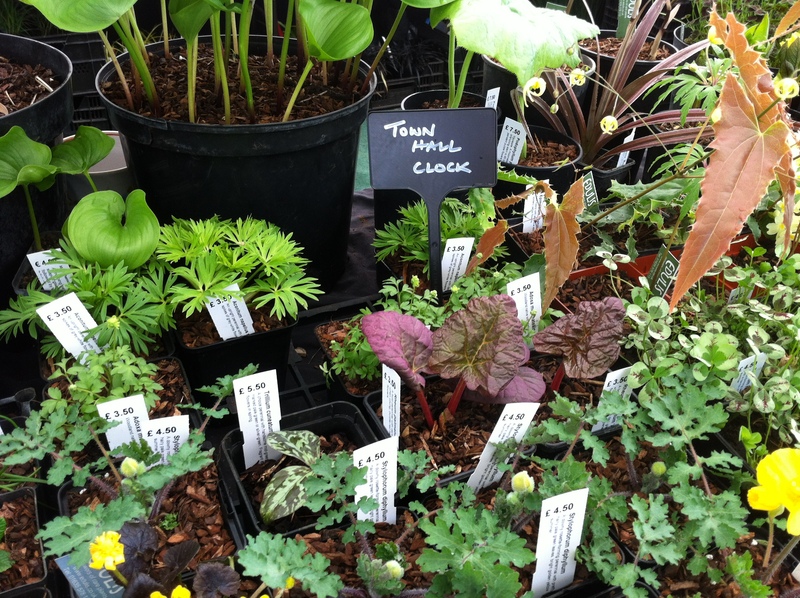 Edulis and Hooksgreen Herbs were as marvellous as ever for unsual plants and we came away with Dwarf Comfrey, Sweet Cicely, varigated Lemon Balm, St Johns Wort, Japanese ginger and Schezuan pepper which will form the basis of a revamped herb bed. 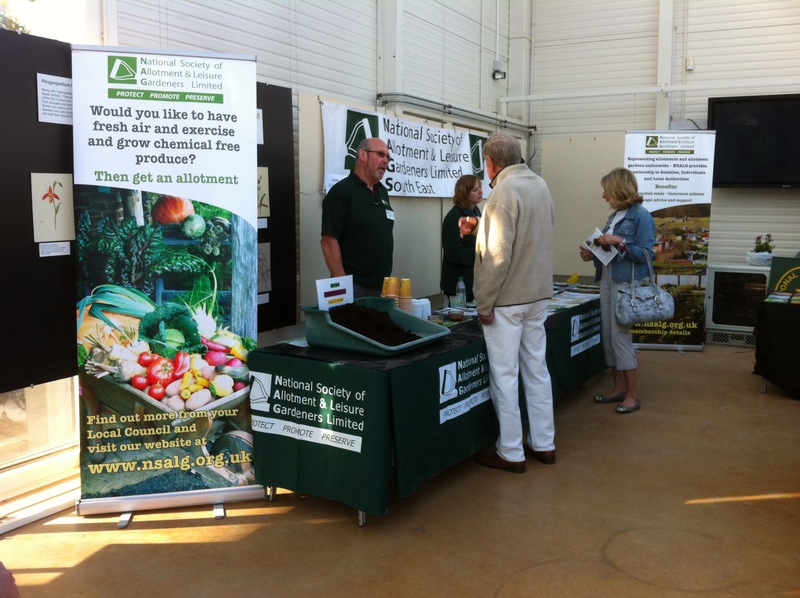 We also joined the National Vegetable Society a non profit organisation that provides help and advice to all kitchen gardeners and managed to pick up some back editions of Allotment and Leisure Gardener from The National Society of Allotment and Leisure Gardeners. Then it was back to Southbourne Gardens in time for mid day coffee; all in all a perfect morning.